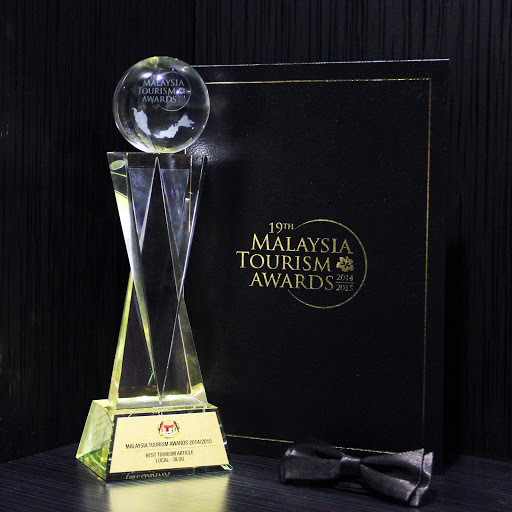 With the mushrooming of boutique spas and budget massage centres in and around Klang Valley in particular, I have always wondered why Malay traditional massage has not been promoted more as a signature massage or a must-do activity in the country. You know, like you just have to try Turkish hammam at least once when you’re in Turkey, or closer to home maybe, like trying Thai massage when travelling in Thailand? So why not do a Malay traditional massage when you’re in Malaysia? Try something with more of a local flavour rather than what can easily be found in other countries. Unfortunately however, more often than not, Malay traditional massage is offered in boutique spas as part of a pre-wedding package but not on an à la carte basis thus making it rather inaccessible especially to visitors to Malaysia. That is why I was quite happy when I found out that a boutique spa in one of the hotels in Shah Alam offers Malay traditional massage on an à la carte basis so much so I decided to try it out myself. Here's a short video on what Malay traditional massage is all about and how it compares to Shiatsu massage & aromatherapy massage, two of the more popular massages, as explained by the masseurs at Alammi Spa, Concorde Hotel, Shah Alam. The verdict? Having previously tried Shiatsu and Thai massages, I would say that Malay traditional massage is better and much more relaxing. I could be biased but it’s definitely more relaxing because it hurts less as the pressure used is not as hard as Shiatsu and Thai. And there’s no “acrobatic” movements required like the other two massages do, ha ha! Like Dan said, it’s more like aromatherapy massage but without the essential oils. Indeed Malay traditional massage is a dry massage like both Shiatsu and Thai but one can still request for some oils to be used. I did and used ginger oil which, I was told, is one of the more popular oils at Alammi Spa, for the latter part of the massage. Have you ever tried Malay traditional massage before? How did you find it? This is also an entry for #TSBreakAway CANON Photo-Storytelling Challenge. 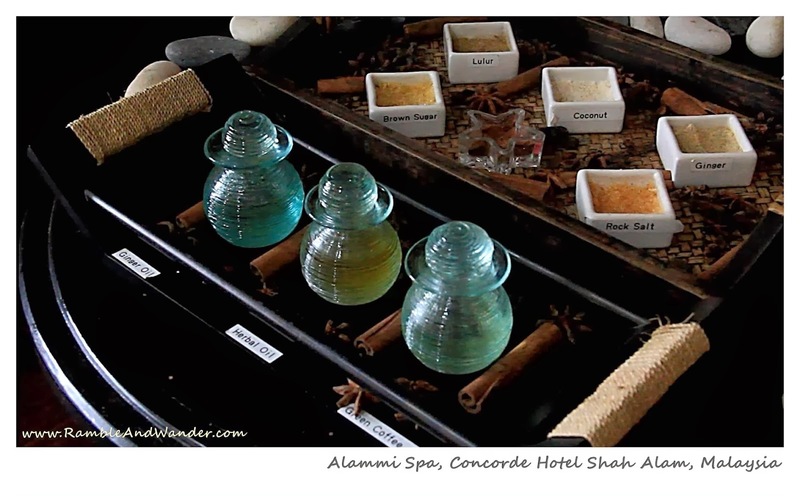 Alammi Spa is located in Concorde Hotel, Shah Alam. They can be contacted at +603 5511 0200 or +603 2785 1815. They may also be contacted through their Facebook page. For other www.rambleandwander.com blog entries on #TSBreakAway, click here. hahaha...acrobatic stunt, eh?? Of course as a fellow Malaysian, I enjoy Malay traditional massage better than other types that I have tried. True. It's not being commercialised. Most masseurs are happy with just doing house visits.